Every region of the country has its big, burly stew, from gumbo to chili to cioppino. This is burgoo, a Kentucky classic, done with a menagerie of wild game: Pheasant, squirrel and venison. Burgoo. Um, what? Yeah, I know. 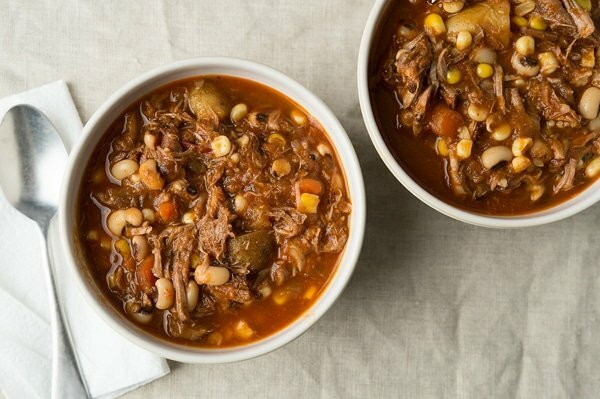 When I first heard the name of this stew, years ago when I was living in Virginia, I just chalked it up to one of the many odd names you see in the South. Apparently this word predates the stew, however. The oldest references to it seem to refer to a thin, nasty-sounding breakfast of hardtack or oats and water cooked into a gruel. The theory is that the name comes from a conflation of bulghur wheat and ragout, but this seems like a stretch to me. 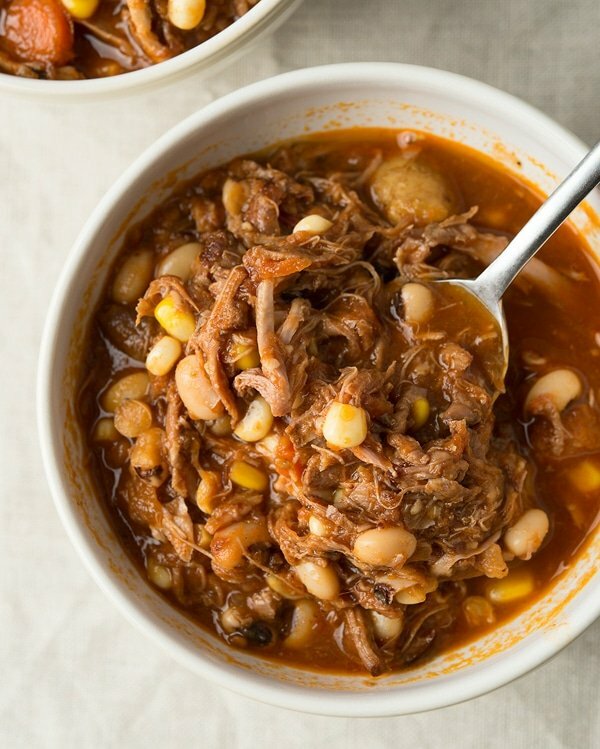 What has carried on since the Civil War, however, is the concept of burgoo as a very thick stew — thick enough to stand your spoon in it. How you get there is more a matter of personal taste. 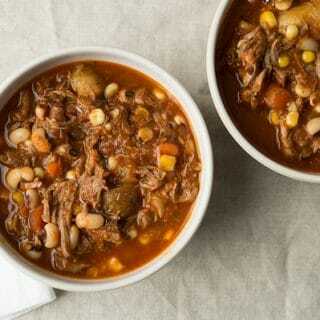 There are as many versions of burgoo as cooks throughout the Greater Burgoo Diaspora, which is basically Kentucky, southern Illinois and Indiana, as well as parts of Ohio River Valley. At least three meats, typically of different characters, i.e., venison, pheasant and squirrel, or chicken, mutton and pork. Some form of tomato product, whether chopped fresh tomatoes, tomato paste or whatever. My recipe is a bit more subdued, but it will still get you through a few lunches at work. Make a big ole’ bowl this weekend and you won’t be sad. This is one of the best Sunday stews you can make because the leftovers reheat beautifully all week, for either a quick supper or for lunches at work. Don't worry if you don't have squirrel, venison and pheasant. The only true rule in burgoo seems to be that you need at least three different meats, so let your imagination wander: Chicken is obvious, as is pork. But lamb, rabbit, hare, other game birds, duck, muskrat, whatever. It'll all get hammered into submission in this stew regardless. 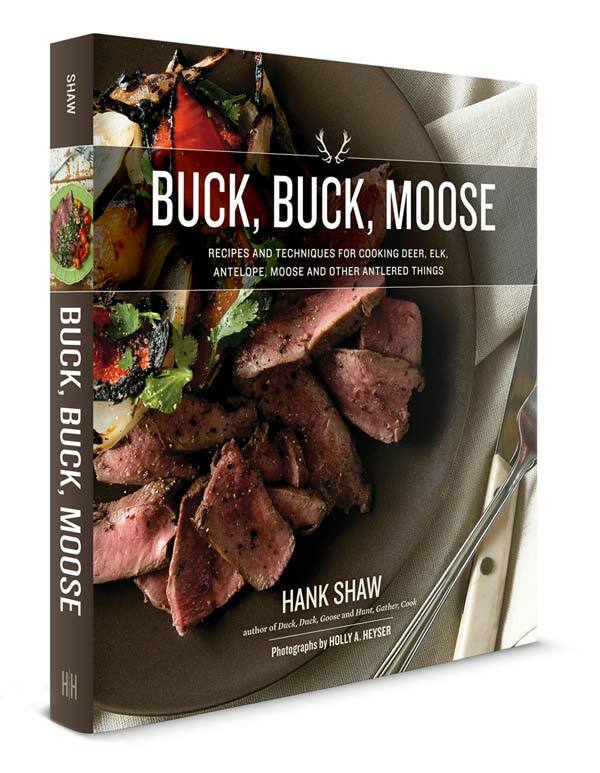 Find more than 500 recipes for every variety of wild game here on Hunter Angler Gardener Cook! 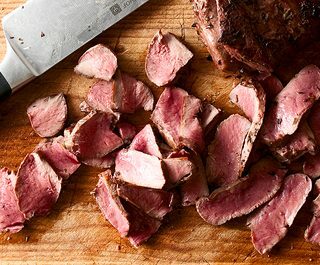 Can you get away with using hind quarter roasts for the venison in this recipe, or would you recommend just sticking with front shoulder and neck cuts? Thank you. Travis: Sure, you can get away with that. What is that, about 5 pounds of total meat? When I first found your site you had me at squirrel. Then I see that you know what burgoo is. As a native of Owensboro, KY I have eaten a fair share of Moonlight’s and Old Hickory’s burgoo and ‘que. The many Catholic churches in the county can hold their own. Finally my wife’s uncle and her father were patient unheralded slow cooking BBQ masters. I have had a fair share but I’m not through eating the good stuff.